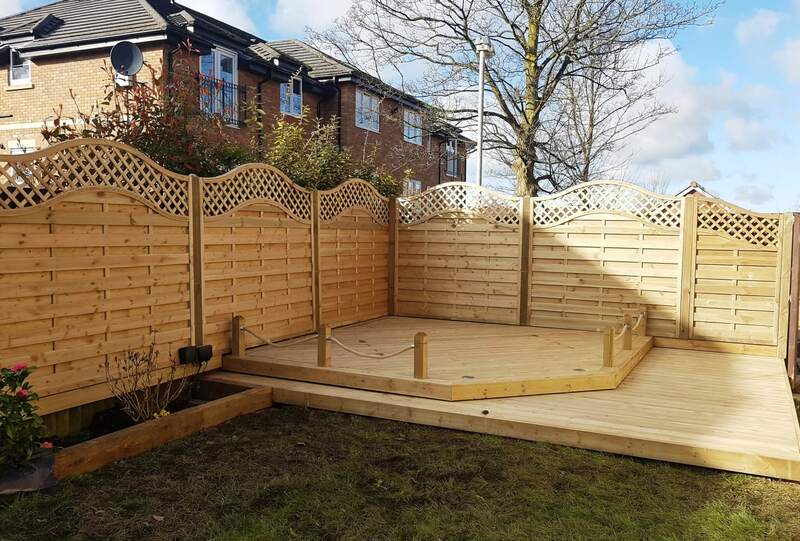 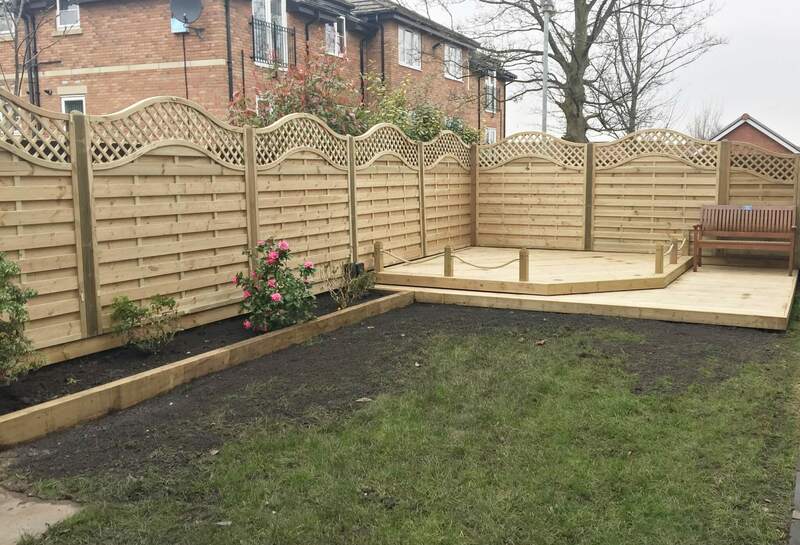 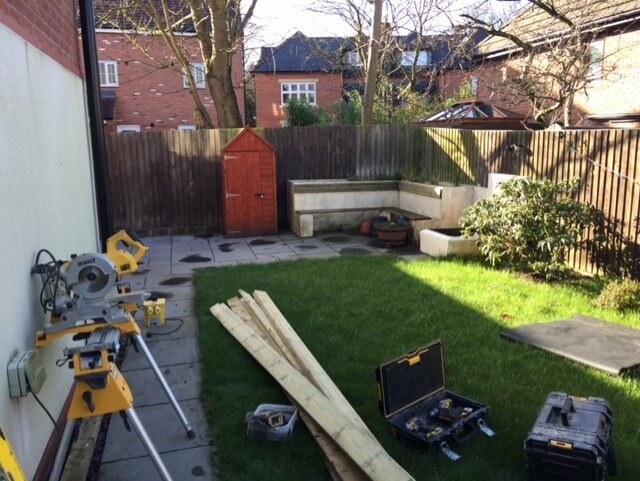 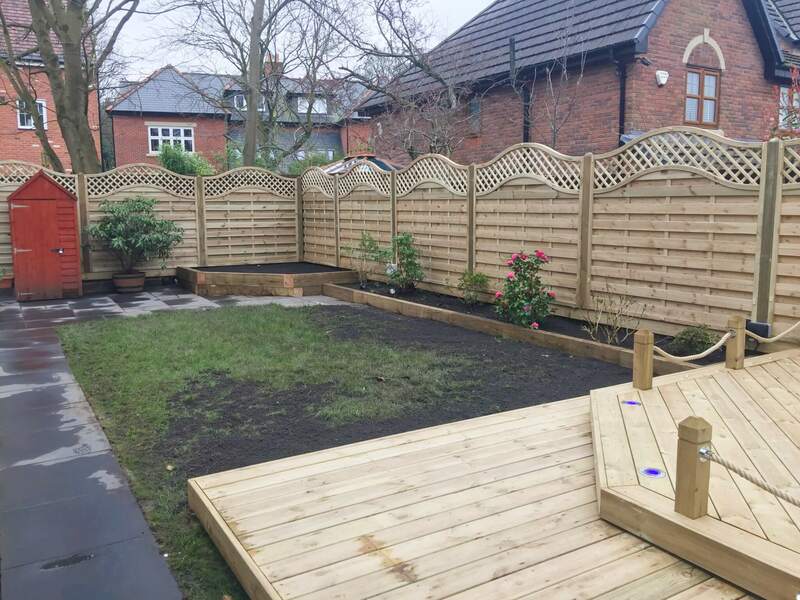 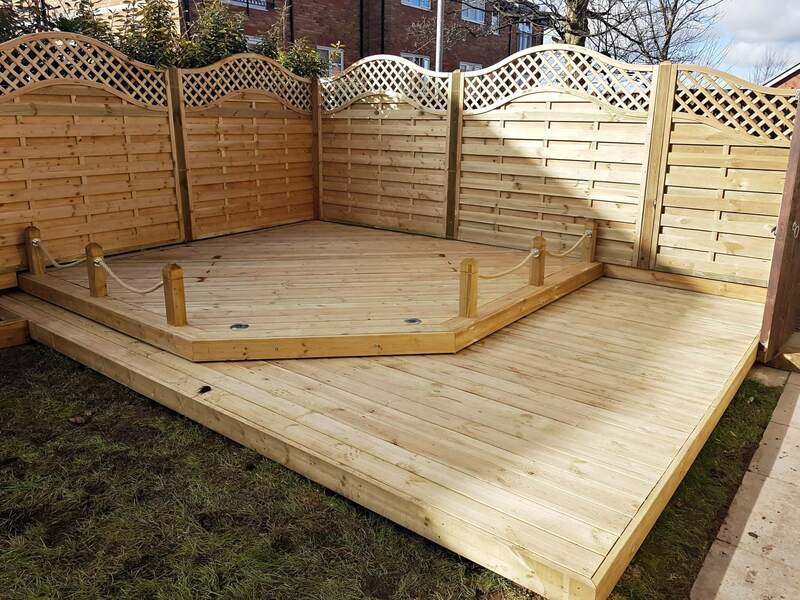 This fencing project was part of a landscaping and decking project in Ormskirk area of Lancashire. 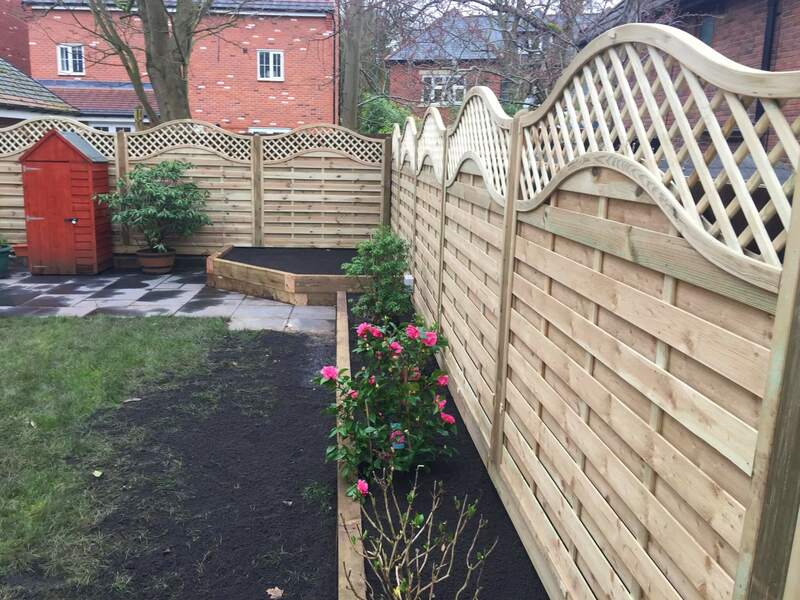 We transformed the whole garden by installing Omega Lattice Top Fence panels. 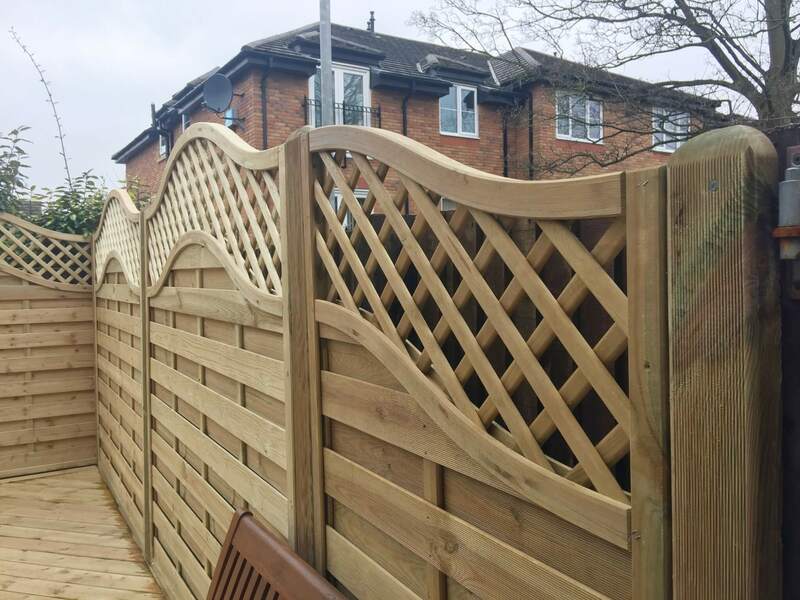 European style fence panels are very popular nowadays. 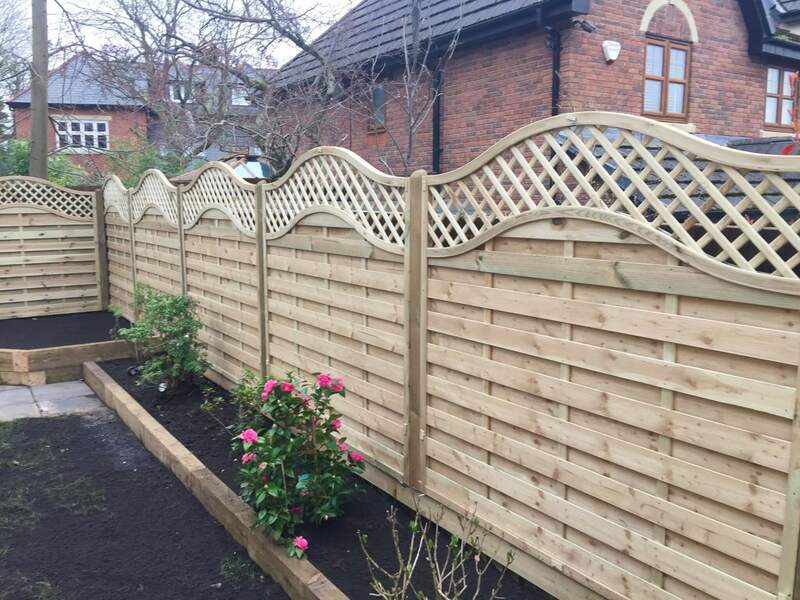 They are much more decorative fence panels and identical on either side.